﻿ El Portal Inn, Bohol | FROM $16 - SAVE ON AGODA! "The staffs are friendly and their service is outstanding." Have a question for El Portal Inn? "The place was clean and the location was good at is was near the airport." Well-positioned in Tagbilaran, El Portal Inn is the ideal point of departure for your excursions in Bohol. The city center is merely 1 km away and the airport can be reached within 2 minutes. With its convenient location, the hotel offers easy access to the city's must-see destinations. Take advantage of a wealth of unrivaled services and amenities at this Bohol hotel. 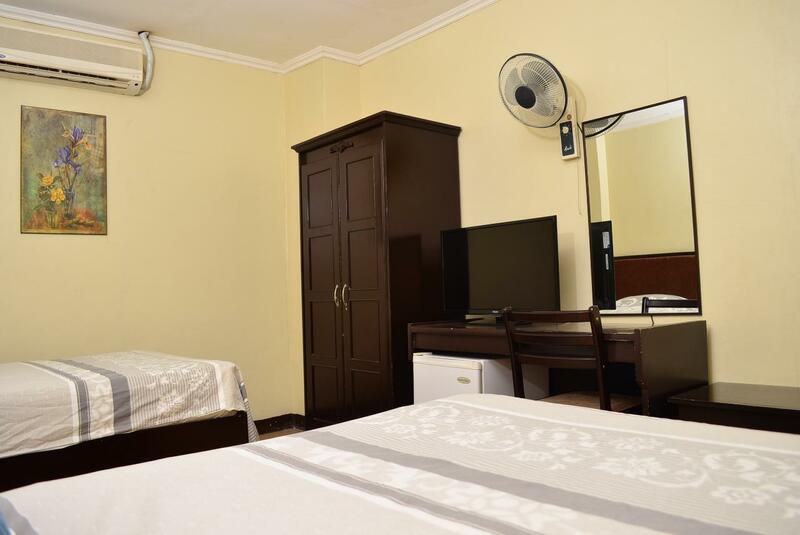 Top features of the hotel include free Wi-Fi in all rooms, 24-hour security, daily housekeeping, taxi service, 24-hour front desk. All guest accommodations feature thoughtful amenities to ensure an unparalleled sense of comfort. The hotel offers many unique recreational opportunities such as massage. El Portal Inn is an ideal place of stay for travelers seeking charm, comfort and convenience in Bohol. Good location in the heart of Tagbilaran and the desk girl was very nice as was the rest of the staff...very helpful, unfortunately I wanted to book a second night but they were full. Nice tasting free breakfast and a good place to stay. Good base for exploring Bohol Island. Rooms facing the street are noisy though. Staff is super friendly and helpful. Optional breakfast is very good and cheap. Television with good channels was a plus. The staff goes out of their way to fulfill your every need, they have a nice little restaurant with very affordable and good local food. Great location. We left our bags there for a couple of days and it was as safe as it gets. We stayed here twice and would definitely come again! We booked this hotel as we need a place near the port, this is like 3 minutes away to the port (via Tricycle - since its hot day we took Tricycle) we paid like 20 pesos for the ride. 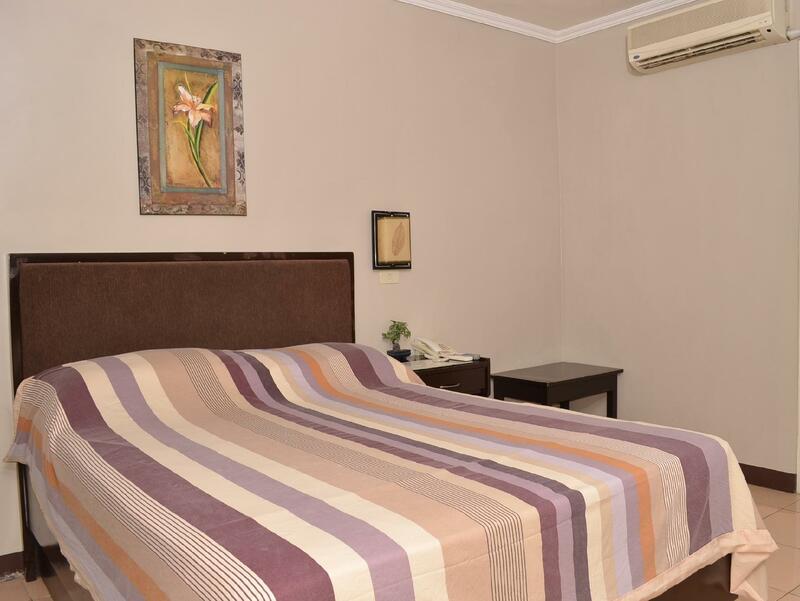 Very basic room, bed, towels, TV, private bathroom, the staff - very accommodating. We encountered slight issue with the air-condition, it took time to get it going so we had to request for electric fan, but overall experience it is good for the money you paid for. 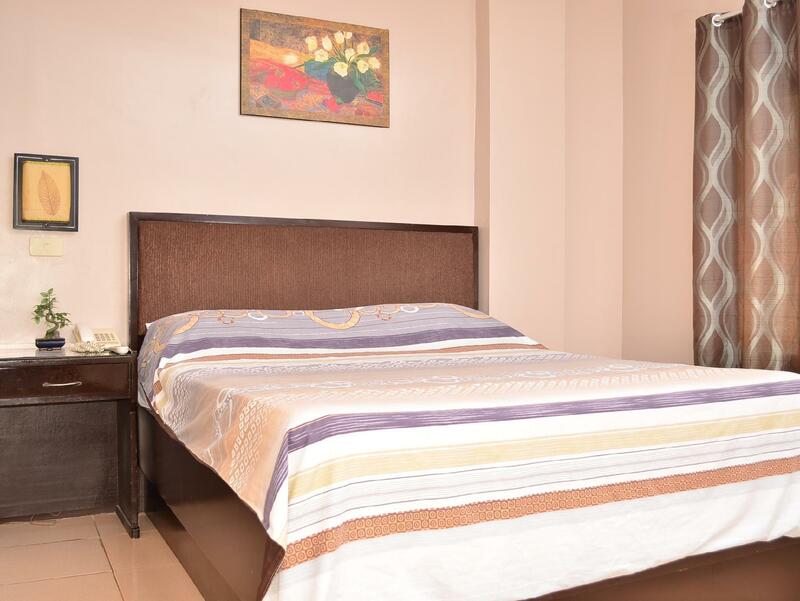 Very clean and comfortable room in a residential area of Bohol. Near to a large supermarket and a Jeepney terminal. A good breakfast was included in the price and staff were happy to serve it at 6:00 am on our request. The wifi was a little patchy but that was attended to immediately. Location was far from decent restaurants and the area catered more for locals than tourists. Overall the hotel was very good and I would certainly recommend it. The bus that goes to the new Panglao airport is just a short Jeepney ride away. Bus fares to the new airport were 50 peso per person and it is a 30 minute bus trip. Very damn dirty ! aircon dripping ! dim lights like a cave ! smelly swamp then the toilet bowl don’t flush , toilet basin smells sewage ! dirty floor , itchy bed ! tasteless foods ! the staff is okay but the only thing is hotel stay overall is very disappointing ! I will never recommend this place and will never go back there again! I regretted there are lots of better hotels to stay in ! Not this kind of hotel very very dirty and smelly ! This is a really spectacular hotel! It is close to the Port, close to the airport, and close to shopping! Cleaner than you ever expected; Well managed, well maintained, friendly, yet professional staff, each and every staff member is attentive, constantly striving to fulfill your slightest need. Located in a very nice area of Tagbilàran, Bohol, Philippines, this hotel truly has 24/7 security guards and a 24/7 fully functioning and staffed Front Desk. We spent the entire week of October 13, 2018 at this hotel, the El Portal Inn. Breakfast, both the included with the room and the regularly available breakfast we're very good. This hotel is great for couples, singles, families, and for business groups and meetings. If you can, try to get the bigger Deluxe Queen Bed, Windowed, room. However, all the rooms are good. I am an American on extended vacation in the Philippines with NO prior relationship with this hotel or any staff member I also have never before posted a hotel review. The El Portal Inn impressed me that much to make me want to share my pleasant hotel experience. Decent-size rooms, quiet, clean and comfortable, helpful desk staff, easy trike ride to ICM mall, adequate and reasonably priced restaurant near lobby, would recommend. After I checked out the hotel, I lost my cellphone in tricycle. So I came back there and ask staff. The owner of hotel tried to ask all of the tricycle driver in Bohol and tried to find my cellphone. The staff cheered me. Unfortunately I couldn't find it but I was very happy because they efforted to search it for me. Also they told me how to get to Panglao and caught the tricycle. And the breakfast was nice. I appriciate for their kindness. Next time I visit to Bohol, I want stay here again. Salamat. I have booked this separately for my sister and his parter. They've been placed in a very nice spot with wide window. But still AC was not too cold. And flush at the bowl was not good too. Very friendly staff. Room was quite big for 2pax, but the shower was really not good due to low pressure. Also aircon is not that cold. But TV and fridge was impressing. They even provided us extension wire because they only have 3 sockets for your electric needs. Few choices of free breakfast too, it's platted btw. We have to arrange airport transfer from them with charge. Instead of they could've offered it for free, adding the fact that it's near from airport anyway. Staff are hospitable and friendly. They've suggested local spots where you can have a cheaper meal. We liked this place. The wifi wasn’t great but the staff was and the free breakfast was a nice bonus. Air con worked, hot water was good too. Wish they had blackout curtains and the planes flying over can be loud but not loud enough to wake you up. Spacious room with strong hot shower . Breakfast is simple but delicious. I like the pancakes with brewed coffee. The front desk girl is very informative and helpful. She gave us many useful informations about Bohol and helped us to grab a tricycle to Panglao with "Local Price"!!! 10 mins walk from the port. Clean, comfortable room. Slightly noisy from the street, but really not much. Wifi generally good. Staff offered to clean the room each day. Impressed with the breakfast, very good and flexible on time. Can offer Bohol tours too. Staff speak good English and are helpful. It's right smack in the center of the city for those who want to stay a 5-minute tricycle ride from the airport (we only had to pay 8 pesos per person) and just 30 minutes away from Alona Beach (we paid 300 pesos for the tricycle trip). It's also an easy pick-up spot for people who plan to join the countryside tour. The room we got was very clean, spacious, and well furnished. The staff were very friendly, and they accommodated our request for an early packed breakfast since we had to leave for our flight at 5 in the morning the next day. My room faced the mainstreet (one-way street) but soundproofing proved to be adequate in keeping all noise out. Definitely recommendable budget hotel for the reasons I stated above. Also included is a decent filipino breakfast with brewed coffee (a delicacy here as most bidget hotels only offer you "instant coffee" (yack...). Good wifi and excellent Cable channels, and most definitely lovely helpful staff add to making this hotel a "good buy". Basic accomodation but very close to Tagbilaran port and they arrange airport transfer. Nice restaurants in walkable distance, fiendly staff, good for short stay.